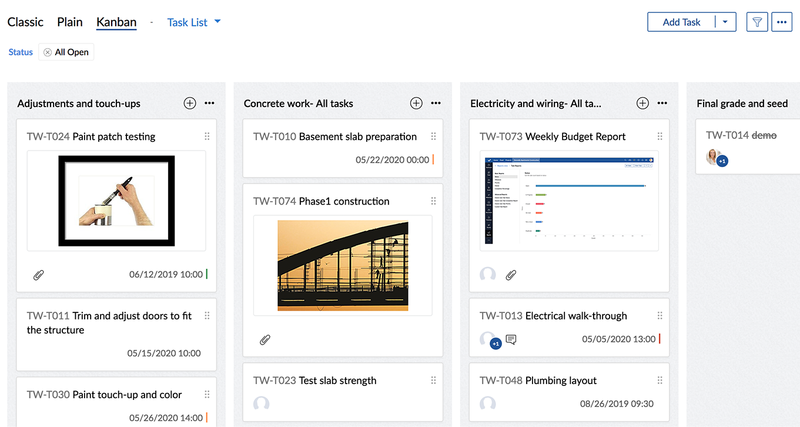 Kanban cards are an easy, dynamic way to create and visualize your workflows. Projects and tasks are visually arranged, so that every team member knows what’s required to be done at any time. Click Tasks in the left panel and then click Kanban view. 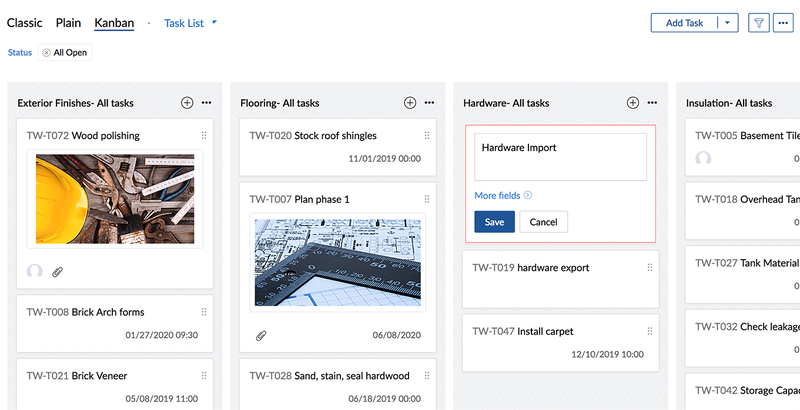 Click in the upper-right corner of a Task List. Enter the task name and click More fields to add other task details. Click Save to add your task. You can view attachments in kanban view. Files from documents section linked to a task will be shown there. Click to open the required task. Modify the task details as required. Your changes will be updated immediately in the Classic view. You can navigate to the next Task or Tasklists. Click on the task to be deleted from the kanban card. Click in the upper right corner of the details page. This deletes the tasks along with the associated timesheet entries and delinks the set dependencies (if any). 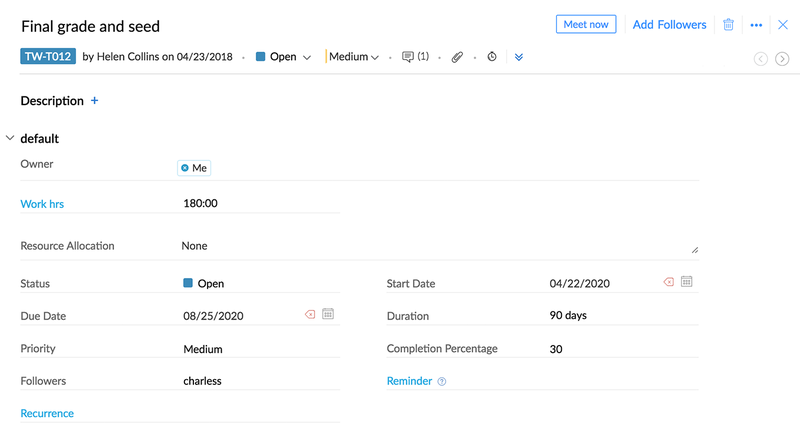 Click Tasks in the left panel. Click Kanban View and select Status from the drop-down next to it. 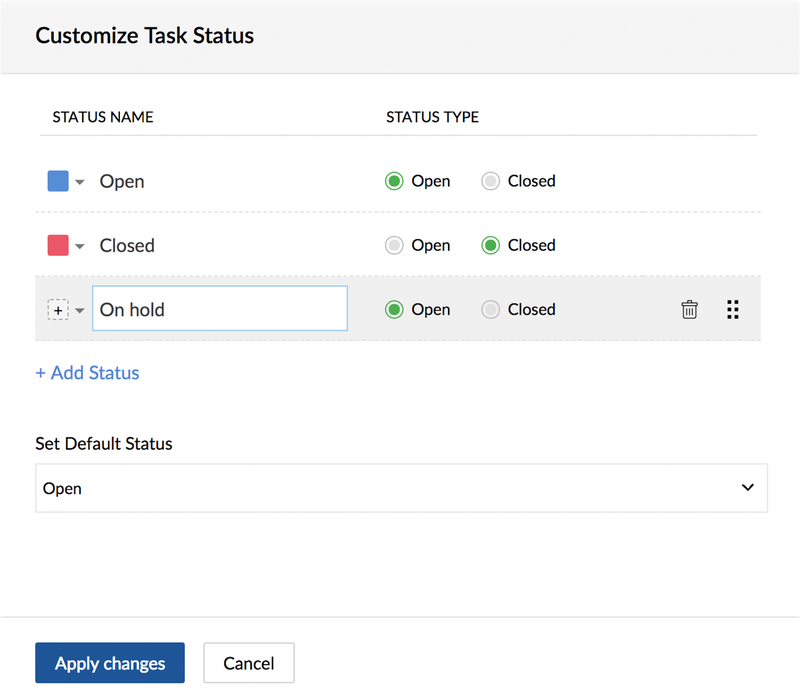 Click on the Add status kanban card to add a new task status. If there are more kanban cards, scroll through till the last card to find the Add Status kanban card. Click on the drop-down to the left of the status name to assign a color. Default Status can't be deleted and there should be at least one open & one closed status. You can view Kanban cards based on Status (default) Task lists, Priority and Percentage. 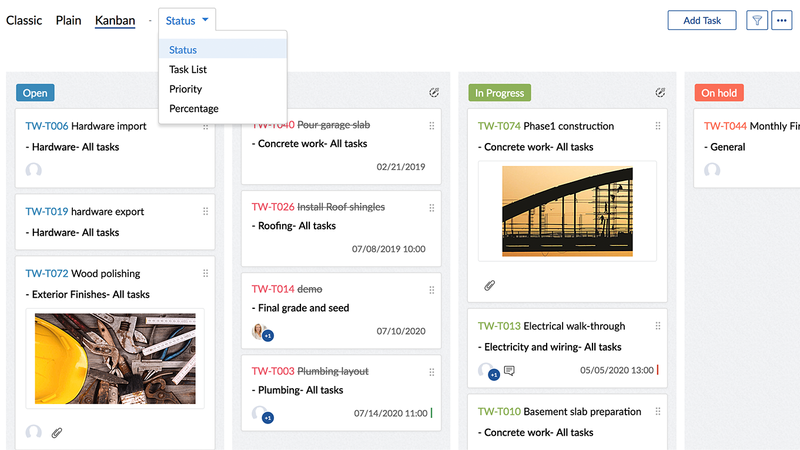 In the Priority view, you can drag and drop the Kanban cards to move a task from one priority to another. In the Percentage view, you can drag and drop the Kanban cards to move a task from one percentage to another based on its completion. 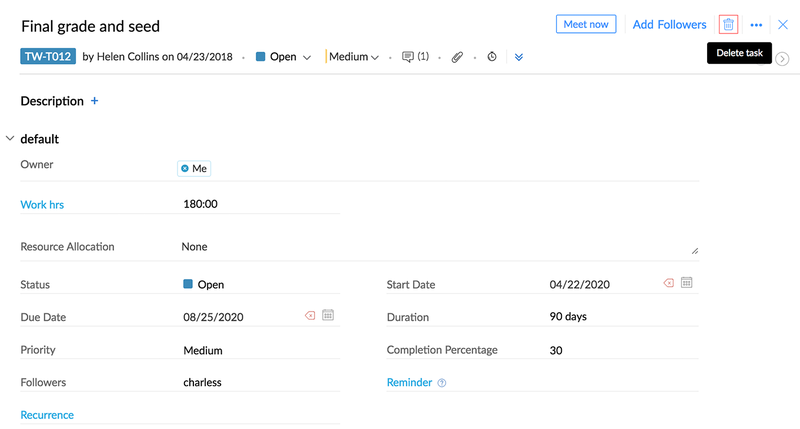 You cannot reorder tasks in priority and percentage views, because the tasks displayed are across tasklists.